Kendrick Lamar talks about his personal style in this episode of Stylized for VEVO‘s Lift campaign. 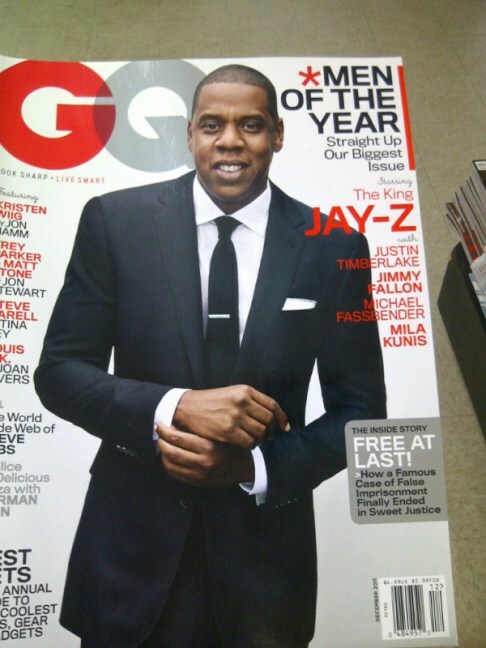 Hov has been featured on the cover of the GQ “Men Of The Year” Edition for December. Sooner or later would GQ give him the title of “Father Of The Year”?…haha. Eminem’s manager Paul Rosenberg shows off Em’s limited edition sneaker collection at the Brisk Bodega in NYC. Paul speaks on Eminem’s long standing relationship with Nike and his favourite Air Max sneakers that Em is always seen with. Nike revealed that they are remaking the classic Nike MAG from Back To The Future 2 in an effort to support the Michael J. Fox Foundation for Parkinson’s research. 1500 pairs went up on Ebay and they were fetching ridiculous prices. British rapper Tinie Tempah won the first pair for $37,500. Kid Cudi later managed to win 4 pairs on Ebay. I want one! Check out Michael J Fox explaining the shoes after the jump. MTV caught up with Pharrell & Tyler, The Creator at the Billionaire Boys Club, on ‘Fashion Night Out’ in NYC, Thursday night. Pharrell says he was really proud of the Golf Wang leader and just was stoked about him winning ‘Best New Artist‘ at the MTV Video Music Awards. Tyler celebrated by going home and straight to sleep. Check out the video for more. 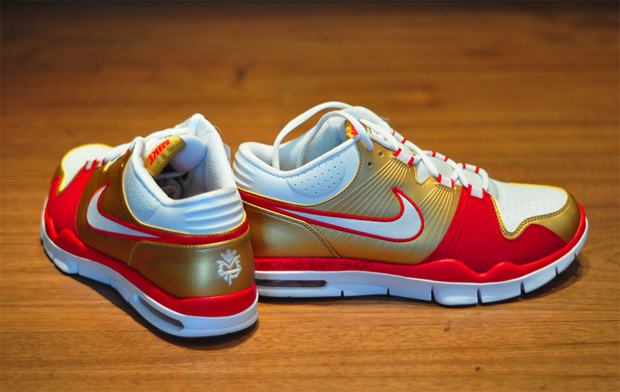 These are the special edition Manny Pacquiao Nike Air Trainers. Manny the “Pac-Man” Pacquiao is arguably the best pound for pound boxer in the World. The Filipino fighter is due to fight Ricky Hatton at the beginning of May. Now he has his own sneakers. The trainers are focused more on athletic performance than style however they still look sick. They come in red, white and golden yellow representing Manny’s home country Phillipines. Only 200 of these special edition sneakers are being made. According to his manager if Manny wins the fight they are likely to make more. I want one!